OH. .I'll be trying this one . .fantastic. Yum! 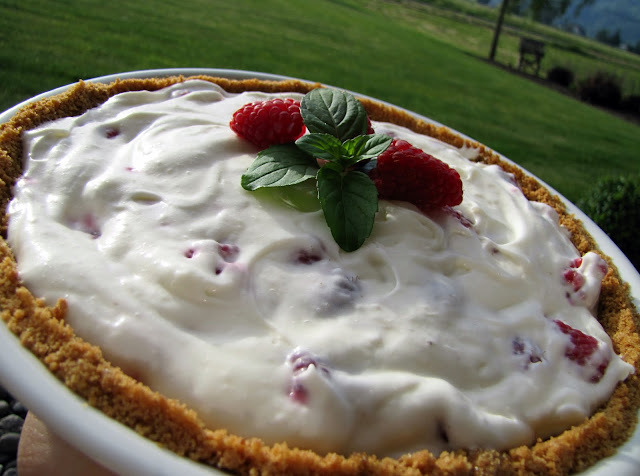 I love love love raspberries, and cream pie, but I've never had Raspberry Cream Pie. This, I've got to try! Looks delicious! Love raspberries so much and would probably want to double the amount of berries and still put berries on top, lol!! Those are the old time favorites that can never leave our blog.